Are fast foods responsible for the increase in prevalence of asthma, rhinoconjunctivitis and eczema? Diet plays an important role in the development of asthma, rhinoconjuncitivits and eczema. The global findings from this International Study of Asthma and Allergies in Childhood study provide information on modifiable risk factors that can inform future health prevention strategies. ISAAC is a multicentre, multicountry, multiphase cross-sectional study. ISAAC Phase Three involved 13–14-year-old adolescents and 6–7-year-old children chosen from a random sample of schools in a defined geographical area.31 Phase Three used standardised core written questionnaires as well as an optional environmental questionnaire (EQ) (http://isaac.auckland.ac.nz) to test a number of specific aetiological hypotheses. A video with scenes of young people with clinical symptoms and signs of asthma was shown to the adolescent group and a questionnaire completed. Questionnaires were self-completed by adolescents and by parents of the children. In this paper we focus on diet and current and severe symptoms of asthma, rhinoconjunctivitis and eczema. The question for current wheeze was ‘Have you (Has your child) had wheezing or whistling in the chest in the past 12 months?’. Severe symptoms of asthma were defined as participants who, in the past 12 months, had ≥4 attacks of wheeze or ≥1 night per week sleep disturbance from wheeze or wheeze affecting speech.32 For adolescents, a positive response to the question relating to the scene of a young person wheezing at rest ‘Has your breathing ever been like this in the past 12 months?’ was defined as ‘current wheeze (VQ)’. The questions for current symptoms of rhinoconjunctivitis were ‘In the past 12 months, have you (has your child) had a problem with sneezing or a runny or blocked nose when you (he/she) DID NOT have a cold or flu?’ and ‘In the past 12 months, has this nose problem been accompanied by itchy watery eyes?’. Symptoms of severe rhinoconjunctivitis were defined as participants who, in the past 12 months, had itchy watery eyes and who answered ‘a lot’ to their nose problems interfering with their daily activities. The questions for current symptoms of eczema were ‘Have you (Has your child) had this itchy rash at any time in the past 12 months?’ and ‘Has this itchy rash at any time affected any of the following places: the folds of the elbows, behind the knees, in front of the ankles, under the buttocks, or around the neck, ears or eyes?’. These questions were preceded by the question ‘Have you (Has your child) ever had an itchy rash coming and going for at least 6 months?’ Symptoms of severe eczema were defined as participants who, in the past 12 months, had sleep disturbance one or more times per week. The EQ diet questions were about foods that were possibly protective and/or risk factors for the development of asthma, rhinoconjuncitivits and eczema. The foods selected were hypothesis-driven, arising from the results of the ISAAC Phase One ecological analyses and were suitable for all ethnic groups.11 Respondents were asked: ‘In the past 12 months, how often, on average, did you (did your child) eat or drink the following: meat; seafood; fruit; vegetables (green and root); pulses (peas, beans, lentils); cereal; pasta (including bread); rice; butter; margarine; nuts; potatoes; milk; eggs and fast food/burgers?’. Centres were encouraged to include local names to define foods if necessary. The three categories for food intake were: never or occasionally; once or twice per week; and ≥3 times per week. Adherence to the ISAAC protocol was assessed and centres with response rates of <70% for the adolescent group, <60% for the children and with <1000 participants for both age groups were excluded. Questionnaires were translated into 53 languages, back-translated into English and assessed for accuracy.33 Centres obtained their own funding and ethical approval. Prevalence ORs34 were calculated from the individual level data using generalised linear mixed models with a binomial distribution and logit link, with the centres modelled as a random effect. The analyses were adjusted for gender, region of the world, language and per capita gross national income (categorised by the World Bank as low, lower-middle, upper-middle and upper).35 To remove any influence of sampling by school, we reduced the effective sample size from the school by dividing the number of pupils by the design effect.36 This reduced number was used in the regression analyses. Further multiple regression analyses were conducted to investigate whether the associations between symptoms and diet were confounded by other risk factors for which information was collected in the EQ, and which had shown associations with symptoms in the univariate analyses. The covariates included were exercise, television watching, maternal education, maternal smoking in the first year of life (6–7-year age group only) and current maternal smoking. Centres were treated as simple random effects but region was included in the model as a fixed effect to account for the differences in level between regions. A further analysis using body mass index (BMI) as a confounder was undertaken. The final worldwide dataset comprised 233 centres in 97 countries with 798 685 adolescents and 144 centres in 61 countries with 388 111 children. Centres that had not undertaken the EQ were then excluded from the dataset, leaving a final EQ dataset of 122 centres in 54 countries with 361 599 adolescents and 75 centres in 32 countries with 220 407 children. Data from 319 196 adolescents from 107 centres in 51 countries and 181 631 children from 64 centres in 31 countries were included in the diet analysis. Multivariate analyses with complete covariate data were subsequently undertaken, involving differing numbers of participants depending on the data available for the specific outcome and diet variables. For example, the analyses of current wheeze and consumption of fruit involved 246 545 adolescents from 90 centres in 42 countries and 143 775 children from 58 centres in 27 countries. The analysis using BMI as a confounder in the model and a subsequent sensitivity analysis showed no association between diet variables and symptom outcomes (data not shown), so BMI was omitted from the final model as the 46 centres for children and the 49 centres for adolescents that did not include the height and weight questions would have limited the dataset further. The key associations are shown in table 1 for adolescents and table 2 for children. For all centres combined, fruit intake once or twice per week and ≥3 times per week was inversely associated with current wheeze (OR 0.90, 95% CI 0.83 to 0.97 and OR 0.87, 95% CI 0.81 to 0.94, respectively), severe asthma (OR 0.89, 95% CI 0.82 to 0.98 and OR 0.89, 95% CI 0.82 to 0.97), VQ ≥3 times per week (OR 0.85, 95% CI 0.77, 0.93) as well as current and severe rhinoconjunctivitis and severe eczema once or twice per week. Milk was inversely associated with current wheeze once or twice per week, severe asthma ≥3 times per week, VQ, current and severe rhinoconjunctivitis once or twice per week and current and severe eczema once or twice per week as well as ≥3 times per week for current eczema. Vegetable consumption was also inversely associated with current wheeze ≥3 times per week and VQ once or twice per week and ≥3 times per week. Online table 1 provides the regional, gender and affluence results for all food groups that show a similar pattern. For all centres combined, a consistently positive association was observed between all three conditions (current and severe) and intake of butter, fast food, margarine and pasta ≥3 times per week. The strongest positive association was found between fast food ≥3 times per week and current wheeze (OR 1.08, 95% CI 1.03 to 1.13), severe asthma (OR 1.39, 95% CI 1.30 to 1.49), VQ (OR 1.24, 95% CI 1.14 to 1.34), current rhinoconjunctivitis (OR 1.21, 95% CI 1.14 to 1.34), severe rhinoconjunctivitis (OR 1.21, 95% CI 1.14 to 1.28), current eczema (OR 1.20, 95% CI 1.11 to 1.28) and severe eczema (OR 1.70, 95% CI 1.48 to 1.95). Seafood showed a positive association with severe asthma, current and severe rhinoconjunctivitis and current and severe eczema. Butter, margarine, nuts, pasta and pulses were positively associated with one or more conditions. 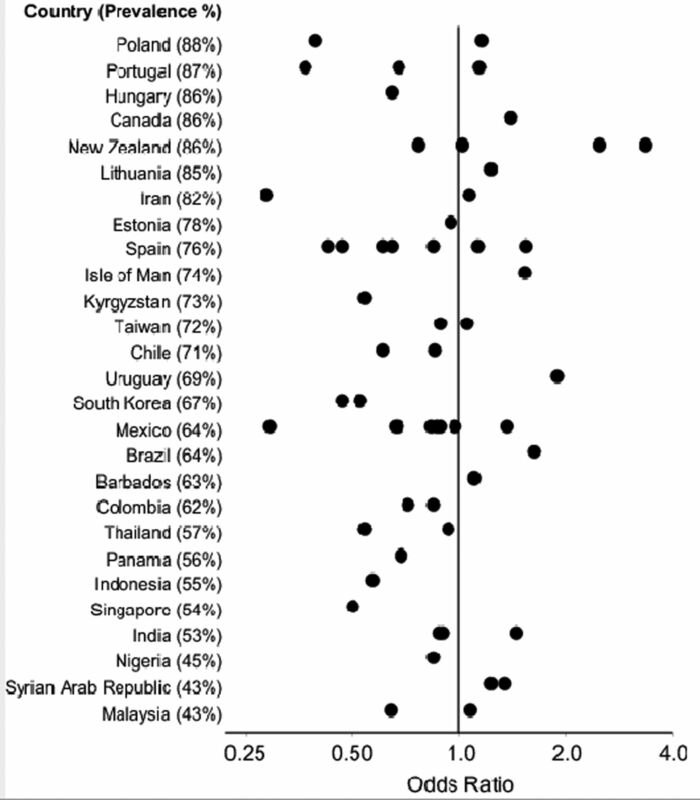 This pattern was also evident when the results were examined by region, gender and affluence (see online table 1). For all centres combined, eggs, fruit, meat and milk ≥3 times per week were inversely associated with all three conditions, current and severe. Cereal ≥3 times per week was inversely associated with severe asthma. Vegetables once or twice per week and ≥3 times per week were inversely associated with current and severe wheeze as well as current and severe rhinoconjunctivitis and ≥3 times per week with current eczema. These patterns were also evident when the results were examined by region, gender and affluence (see online table 2). For all centres combined, fast food once or twice per week and ≥3 times per week was positively associated with current wheeze (OR 1.08, 95% CI 1.03 to 1.13 and OR 1.17, 95% CI 1.08 to 1.27, respectively) and severe asthma (OR 1.08, 95% CI 1.01 to 1.15 and OR 1.27, 95% CI 1.13 to 1.42), ≥3 times per week with current rhinoconjunctivitis (OR 1.20, 95% CI 1.11 to 1.31), severe rhinoconjunctivitis (OR 1.32, 95% CI 1.04 to 1.68) and severe eczema (OR 1.30, 95% CI 1.05 to 1.61). Online table 2 shows the association between food types at a regional level as well as for gender and affluence. 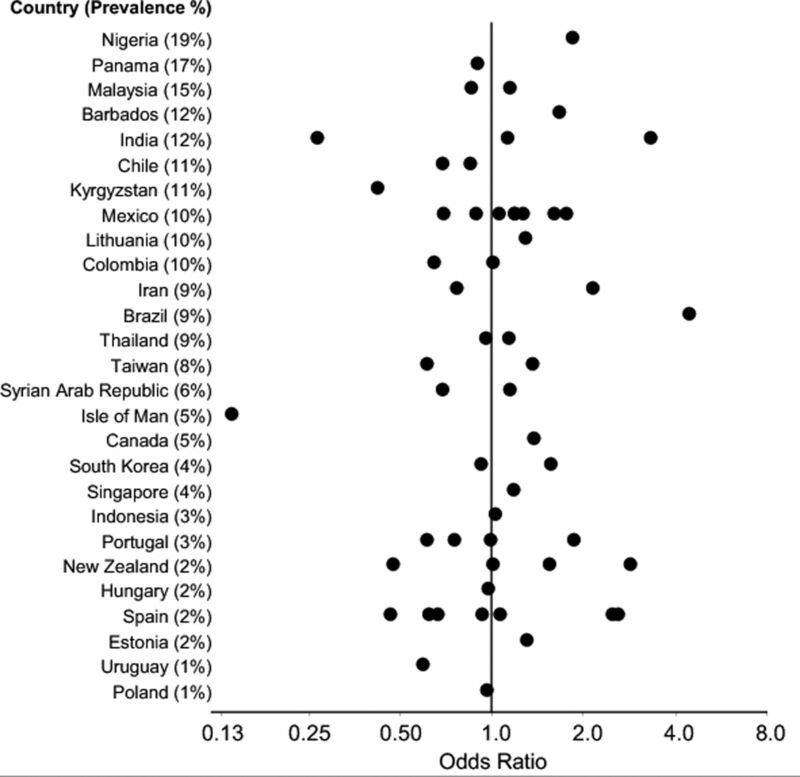 Figures 1⇓⇓⇓⇓⇓⇓⇓⇓⇓⇓–12 show the ORs for current and severe wheeze, rhinoconjunctivitis and eczema, respectively, in children for fast food and fruit for ‘≥3 times per week’ versus ‘never’ by centre and country (countries were excluded from the figures if the ORs calculated for all centres were extreme (≤0.01 or ≥100)). These figures show that, in the large majority of centres, there was a positive association between fast food and a protective association between fruit and the three diseases, although there is considerable variation for some foods between centres within countries. Adjusted ORs for current wheeze and frequent consumption of fruit, 6–7 year age group. Adjusted ORs for current symptoms of severe asthma and frequent consumption of fruit, 6–7 year age group. Adjusted ORs for current symptoms of rhinoconjunctivitis and frequent consumption of fruit, 6–7 year age group. Adjusted ORs for current symptoms of severe rhinoconjunctivitis and frequent consumption of fruit, 6–7 year age group. Adjusted ORs for current symptoms of eczema and frequent consumption of fruit, 6–7 year age group. Adjusted ORs for current symptoms of severe eczema and frequent consumption of fruit, 6–7 year age group. Adjusted ORs for current wheeze and frequent consumption of fast food, 6–7 year age group. Adjusted ORs for current symptoms of severe asthma and frequent consumption of fast food, 6–7 year age group. Adjusted ORs for current symptoms of rhinoconjunctivitis and frequent consumption of fast food, 6–7 year age group. Adjusted ORs for current symptoms of severe rhinoconjunctivitis and frequent consumption of fast food, 6–7 year age group. Adjusted ORs for current symptoms of eczema and frequent consumption of fast food, 6–7 year age group. Adjusted ORs for current symptoms of severe eczema and frequent consumption of fast food, 6–7 year age group. This study has shown that, after controlling for potential confounders, fast food intake was consistently positively associated across all centres and many regions of the world with current and severe symptom prevalence of wheeze, rhinoconjunctivitis and eczema in adolescents and for males and females for affluent and non-affluent countries. For the children, the pattern was weaker but still positively associated with all centres (except for current eczema) and non-affluent countries (except for current and severe eczema). The positive association with severe disease suggests that fast foods are a predictor of disease severity rather than disease occurrence, although it is difficult to separate out the two in this study. Fruit showed a consistent inverse (protective) association in both age groups for all centres and current and severe wheeze and rhinitis in the adolescent group and for all three conditions (current and severe) for the children. A consistent pattern for the adolescent group was found for the relationship between symptoms and fast foods and fruit with all centres and within regions and for the children between vegetables. In adolescents, butter, margarine and pasta consumption were also positively associated with asthma prevalence. These results are consistent with the ecological study in ISAAC Phase One. Age-specific differences in the relationship between diet and disease could be related to different disease phenotypes.40 ,41 Further investigations are necessary to clarify age-specific patterns for these additional food types. This is the first study on such a large scale to investigate the association between the consumption of food types and the prevalence of symptoms of asthma, rhinoconjunctivitis and eczema, and it is surprising that foods that were considered protective by our previous ecological study have not come out as strongly in this analysis. This may reflect the strong association between fast food and the three conditions in both age groups, whereas increased fast food consumption decreases consumption of protective food groups such as fruit and vegetables. However, these analyses (and the ISAAC Phase Two diet analysis) used individual data whereas the ISAAC ecological study used country level food intake because centre level data were unavailable. Thus, the ecological study findings of associations at the country level may have introduced complex biases when analysed against centre level symptoms, and therefore some caution is required in the interpretation of those results. In addition, the individual level associations are modelled within each centre, so any population level associations will not confound the findings reported here. However, when the findings at each level are consistent, as for fruit and vegetable consumption and for fast foods, a more coherent story emerges. Although for this analysis we were unable to distinguish between rural and urban residence from the descriptions of the sampling frame given, we believe that the majority of ISAAC centres are mainly urban so it is unlikely that urban/rural differences in access to fast food will have a major confounding influence. Limitations of this study also need to be considered. Questionnaires were used to assess outcomes, which were self-completed by the adolescents and by the parents of the children. This might lead to misclassification which would reduce the chance of identifying associations but is unlikely to result in any systematic bias. Selection bias is also unlikely as the response rate from centres included in these analyses was high. It was possible to adjust for socioeconomic status at the country level only. 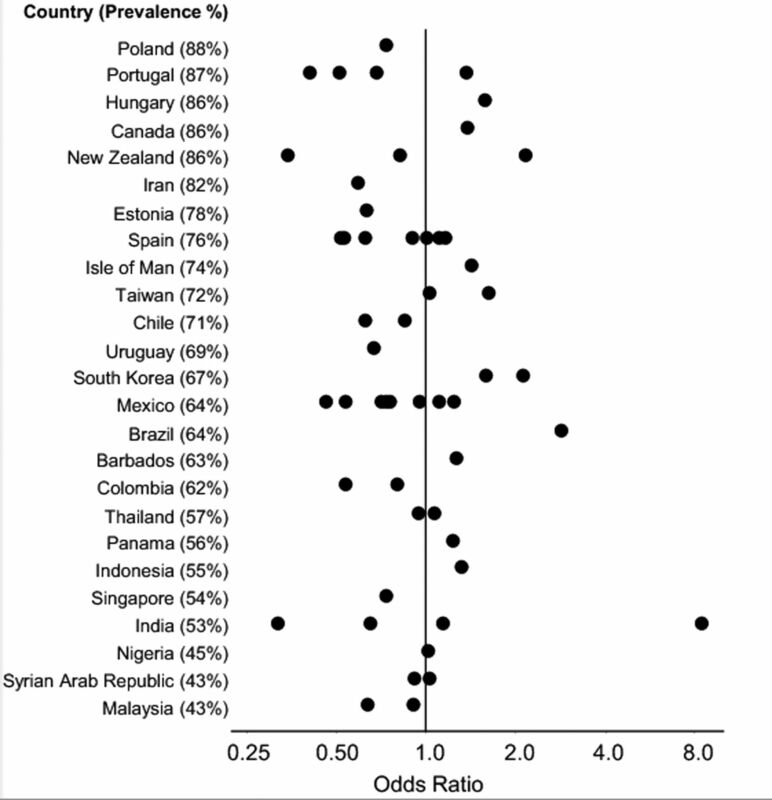 Within countries, it is possible that socioeconomic status may be associated with consumption of the foods included in the EQ, particularly meat, vegetables, fast food and fruit. This association, if present, may confound the reported associations. Additionally, as temporal data are absent (or lacking), which is a characteristic of all cross-sectional studies, it was not possible to exclude the possibility that asthma, rhinoconjunctivitis and eczema symptoms led to changes in diet. Our results suggest that fast food consumption may be contributing to the increasing prevalence of asthma, rhinoconjunctivitis and eczema in adolescents and children. For other foods, the picture for adolescents and children is less clear. However, in concordance with international dietary recommendations, diets that have a regular consumption of fruit and vegetables are likely to protect against asthma, allergic disease and other non-communicable diseases. The positive association observed here between fast food intake and the symptom prevalence of asthma, rhinoconjunctivitis and eczema in adolescents and children deserves further exploration, particularly in view of the fact that fast food is increasing in popularity around the world. Equally, the protective association between fruit and vegetables and the three conditions should be further explored at country and regional levels. We are grateful to the children and parents who participated and the coordination and assistance by the school staff is sincerely appreciated. ISAAC Steering Committee. 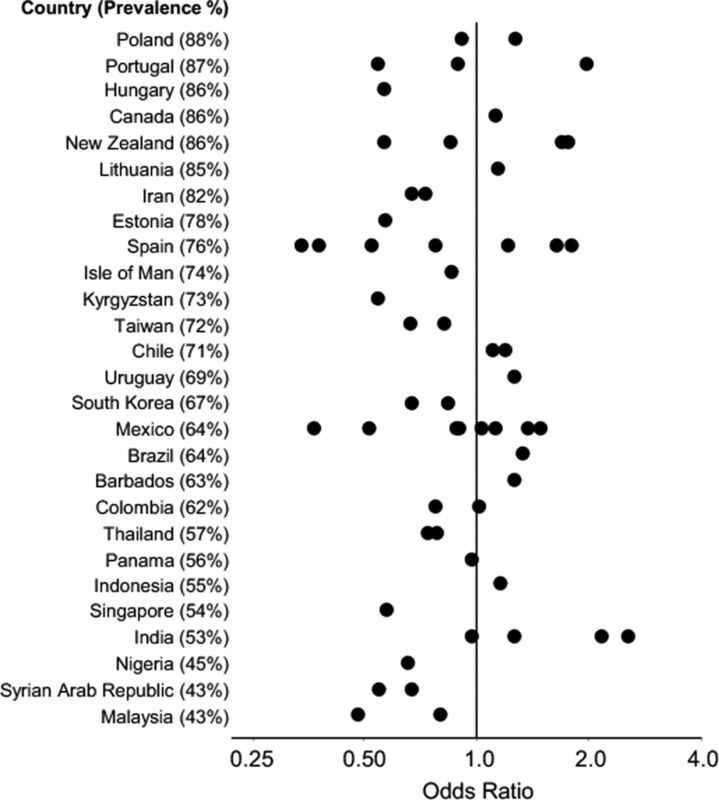 Worldwide variation in prevalence of symptoms of asthma, allergic rhinoconjunctivitis, and atopic eczema: ISAAC. Lancet 1998;351:1225–32. Anonymous. Variations in the prevalence of respiratory symptoms, self-reported asthma attacks, and use of asthma medication in the European Community Respiratory Health Survey (ECRHS). Eur Respir J 1996;9:687–95.
. Diet and childhood asthma in a society in transition: a study in urban and rural Saudi Arabia. Thorax 2000;55:775–9.
. Worldwide time trends in the prevalence of symptoms of asthma, allergic rhinoconjunctivitis, and eczema in childhood: ISAAC Phases One and Three repeat multicountry cross-sectional surveys. Lancet 2006;368:733–43.
. Priority actions for the non-communicable disease crisis. 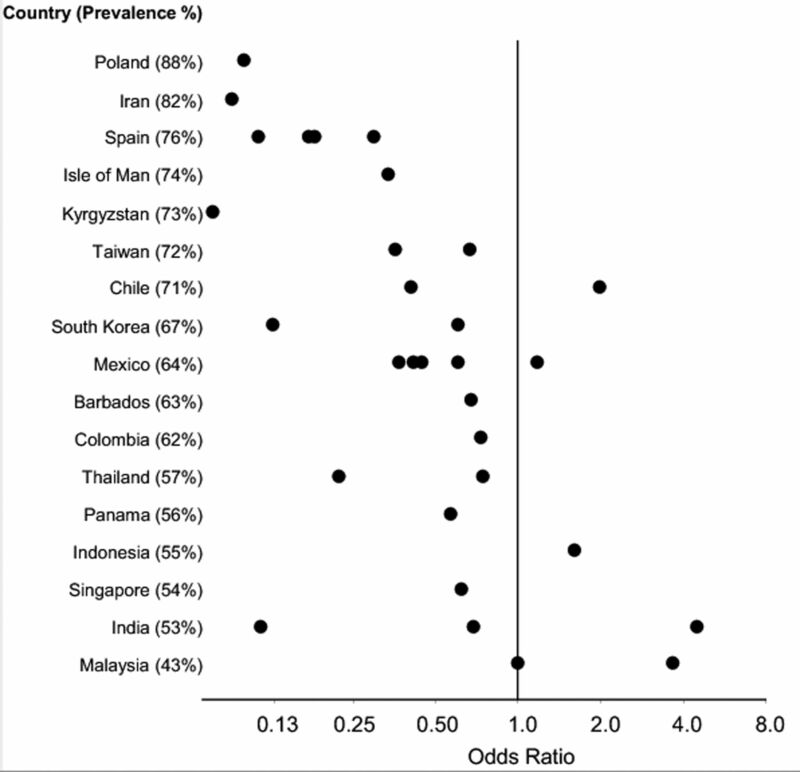 Lancet 2011;377:1438–47.
. The increase in the prevalence of asthma and allergy: food for thought. Nature Rev Immunol 2006;6:869–74. WHO Study Group. Diet, nutrition, and the prevention of chronic diseases. 1990.
. 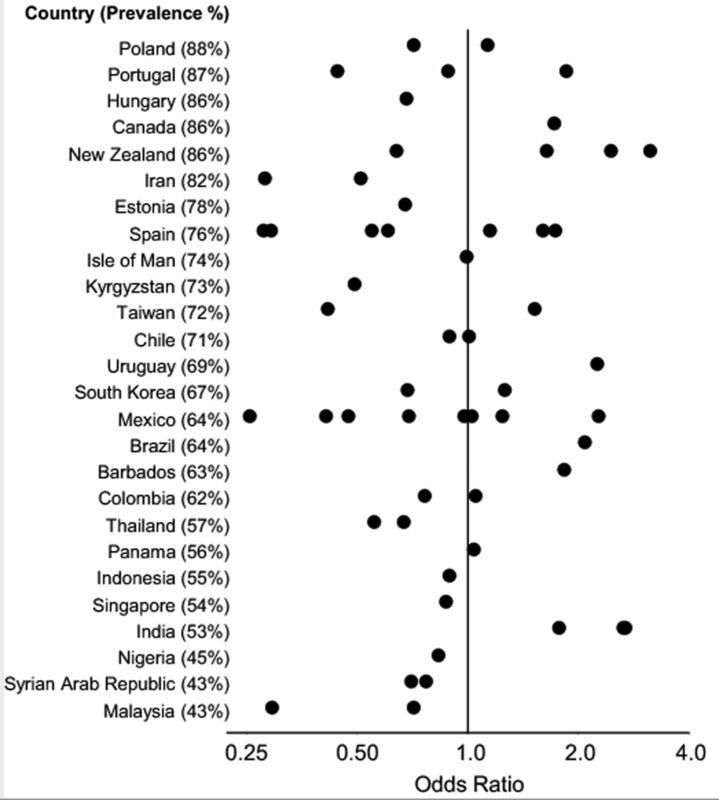 The association between fast food outlets and the prevalence of symptoms of asthma from the International Study of Asthma and Allergies in Childhood (ISAAC). Eur Respir J 1998;12(Suppl 28):244s.
. Fast foods—are they a risk factor for asthma? 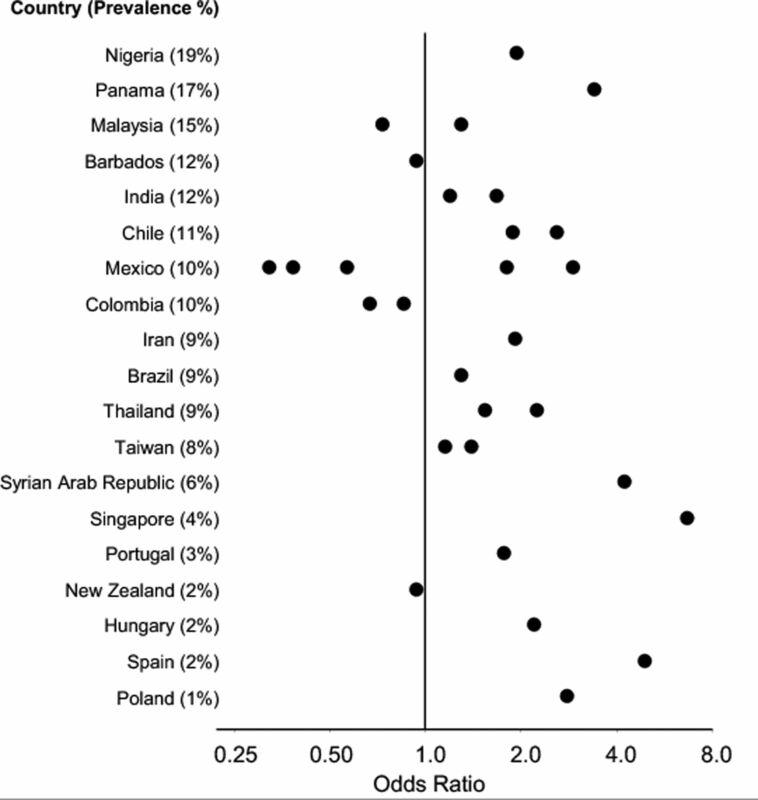 Allergy 2005;60:1537–41.
. Asthma, allergy and atopy in Asian immigrants in Melbourne. Med J Aust 1994;161:418–25.
. Diet and asthma, allergic rhinoconjunctivitis and atopic eczema symptom prevalence: an ecological analysis of the International Study of Asthma and Allergies in Childhood (ISAAC) data. Eur Respir J 2001;17:436–43.
. Consumption of fresh fruit rich in vitamin C and wheezing symptoms in children. SIDRIA Collaborative Group, Italy (Italian Studies on Respiratory Disorders in Children and the Environment). Thorax 2000;55:283–8.
. Wheeze and asthma in children: associations with body mass index, sports, television viewing, and diet. Epidemiology 2008;19:747–55.
. Increase in asthma: a more toxic environment or a more susceptible population? Thorax 1994;49:171–4.
. Dietary fat and asthma: is there a connection? Eur Respir J 1997;10:6–12.
. Dietary antioxidant intake, allergic sensitization and allergic diseases in young children. Eur J Allergy Clin Immunol 2009;64:1766–72.
. Antioxidant intake and adult-onset wheeze: a case-control study. Aberdeen WHEASE Study Group. Eur Respir J 1999;13:22–30.
. Intake of trans fatty acids and prevalence of childhood asthma and allergies in Europe. ISAAC Steering Committee. Lancet 1999;353:2040–1.
. Omega 3 and 6 oils for primary prevention of allergic disease: systematic review and meta-analysis. Allergy 2009;64:840–8.
. The intestinal microflora in allergic Estonian and Swedish 2-year old children. Clin Exp Allergy 1999;29:342–6.
. Dietary factors and the development of asthma. Immunol Allergy Clin North Am 2008;28:603–29.
. Diet and asthma: nutrition implications from prevention to treatment. J Am Diet Assoc 2011;111:258–68.
. Relationship of asthma and rhinoconjunctivitis with obesity, exercise and Mediterranean diet in Spanish schoolchildren. Thorax 2007;62:503–8.
. Urban environment adherence to the Mediterranean diet and prevalence of asthma symptoms among 10- to 12-year-old children: the physical activity, nutrition, and allergies in children examined in Athens study. Allergy Asthma Proc 2011;32:351–8.
. The influence of environment, as represented by diet and air pollution, upon incidence and prevalence of wheezing illnesses in young children. Curr Opin Allergy Clin Immunol 2011;11:144–9.
. 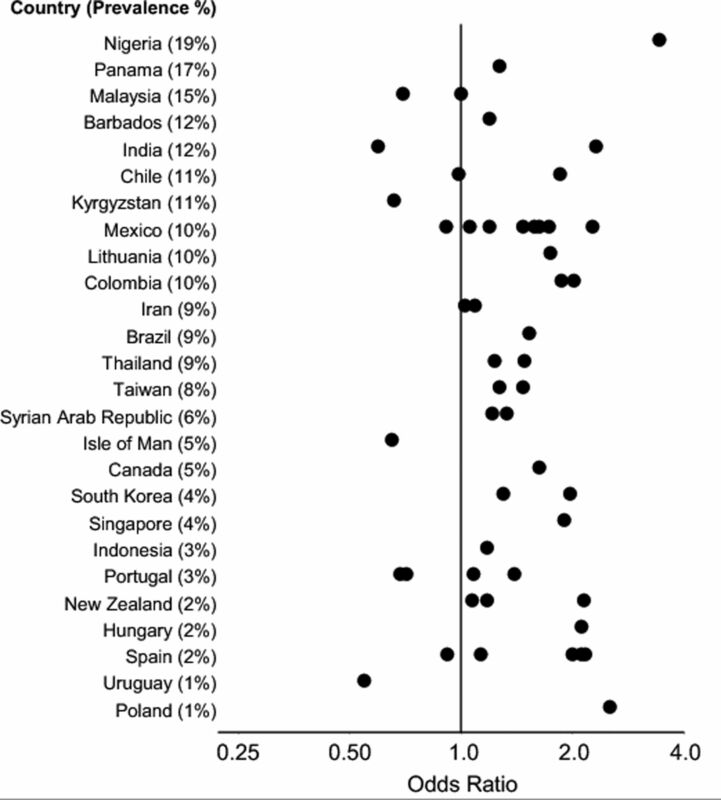 Per capita sugar consumption is associated with severe childhood asthma: an ecological study of 53 countries. Prim Care Respir J 2011;20:75–8.
. Effect of diet on asthma and allergic sensitisation in the International Study of Allergies and Asthma in Childhood (ISAAC) Phase Two. Thorax 2010;65:516–22.
. High BMI is related to higher incidence of asthma, while a fish and fruit diet is related to a lower: results from a long-term follow-up study of three age groups in Sweden. Respir Med 2010;104:972–80.
. Session 1: Allergic disease—nutrition as a potential determinant of asthma. Proc Nutr Soc 2010;69:1–10.
. Diet and asthma: looking back, moving forward. Respir Res 2009;10:49.
. The International Study of Asthma and Allergies in Childhood (ISAAC): Phase Three rationale and methods. 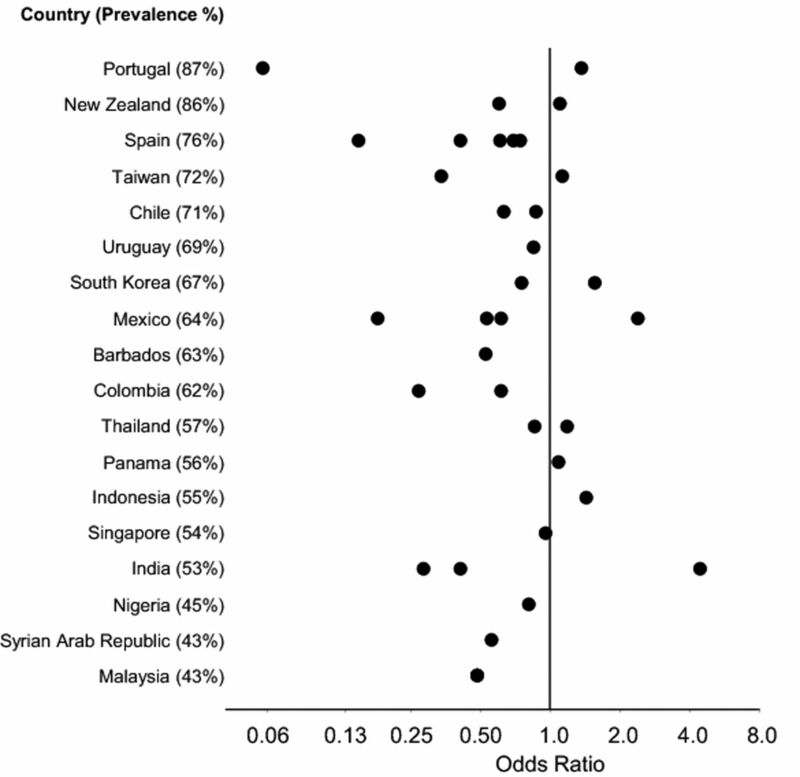 Int J Tuberc Lung Dis 2005;9:10–16.
. International correlations between indicators of prevalence, hospital admissions and mortality for asthma in children. 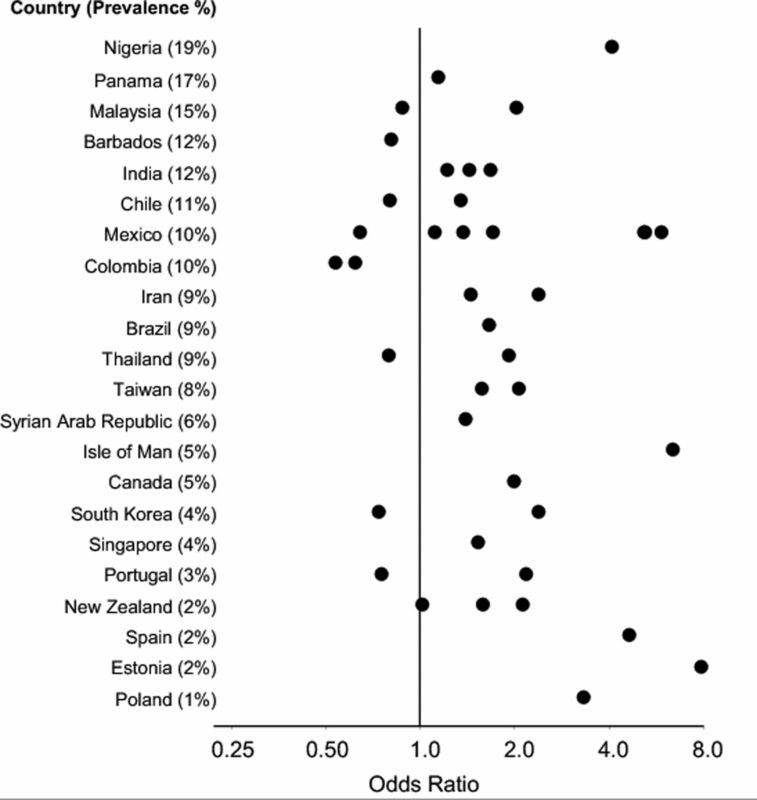 Int J Epidemiol 2008;37:573–82.
. Translation of questions: the International Study of Asthma and Allergies in Childhood (ISAAC) experience. 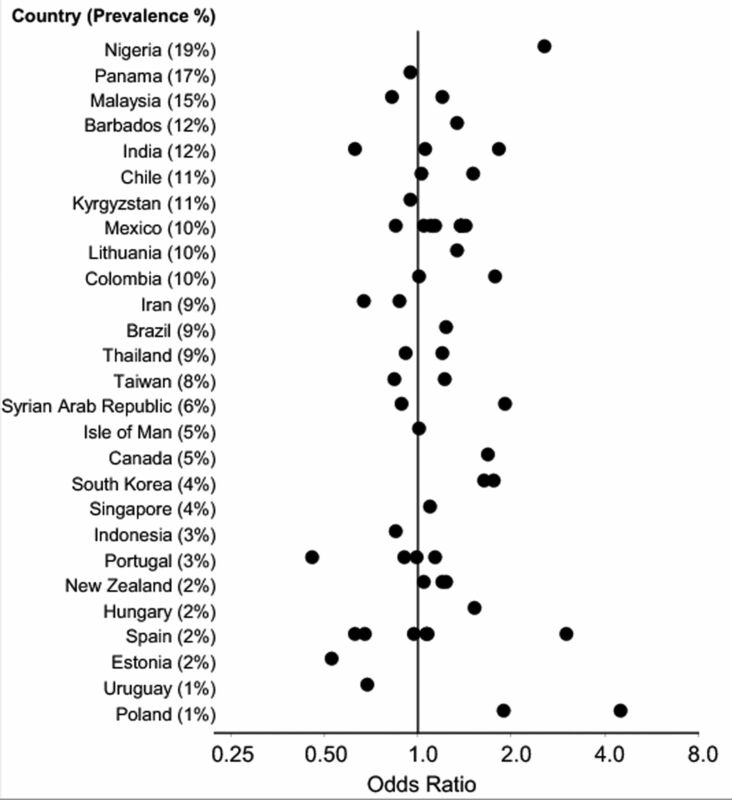 Int J Tuberc Lung Dis 2009;13:1174–82.
. Effect measures in prevalence studies. Environ Health Perspect 2004;112:1047–50.
. Atopic sensitization and the international variation of asthma symptom prevalence in children. Am J Respir Crit Care Med 2007;176:565–74.
. A simple method for the analysis of clustered binary data. Biometrics 1992;48:577–85.
. Reproducibility and validity of the food frequency questionnaire for estimating habitual dietary intake in children and adolescents. Nutr J 2011;10:27.
. 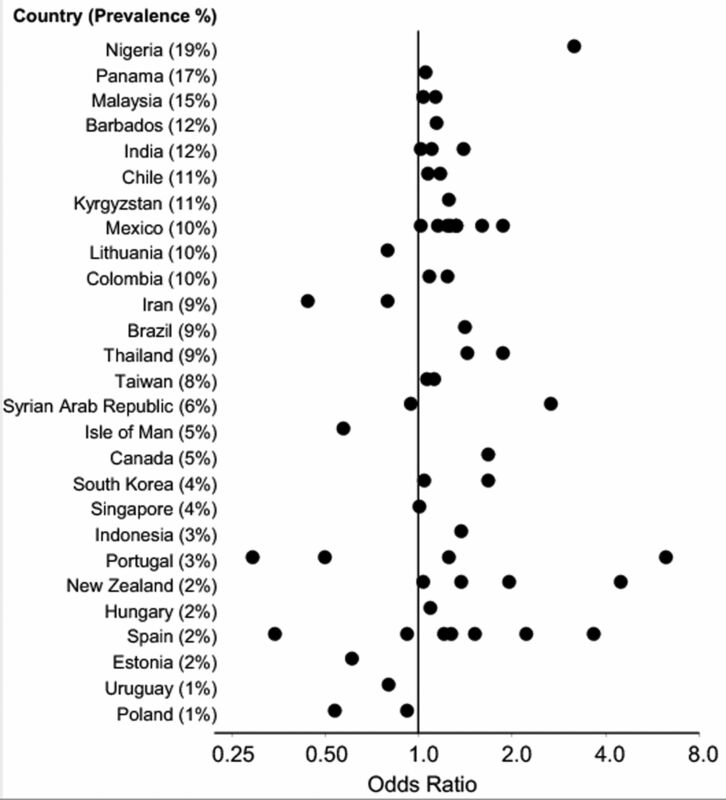 The nutrition transition and its health implications in lower-income countries. Public Health Nutr 1998;1:5–21.
. Diet as a risk factor for atopy and asthma (see comment). J Allergy Clin Immunol 2005;115:1109–17; quiz 18.
. Severe asthma: from characteristics to phenotypes to endotypes. Clin Exp Allergy 2012;42:650–8.
. Untangling asthma phenotypes and endotypes. Allergy 2012;67:835–46.
. Dietary fatty acids and allergy. Ann Med 1999;31:282–7. ↵* Members of the ISAAC Phase Three Environmental Questionnaire Diet Study Group are listed at the end of the paper. Collaborators ISAAC Phase Three Study Group. ISAAC Steering Committee:N Aït-Khaled* (International Union Against Tuberculosis and Lung Disease, Paris, France); H R Anderson (Division of Community Health Sciences, St George's, University of London, London, UK); M I Asher (Department of Paediatrics: Child and Youth Health, Faculty of Medical and Health Sciences, The University of Auckland, New Zealand); R Beasley* (Medical Research Institute of New Zealand, Wellington, New Zealand); B Björkstén* (Institute of Environmental Medicine, Karolinska Institutet, Stockholm, Sweden); B Brunekreef (Institute of Risk Assessment Science, Universiteit Utrecht, The Netherlands); J Crane (Wellington Asthma Research Group, Wellington School of Medicine, New Zealand); P Ellwood (Department of Paediatrics: Child and Youth Health, Faculty of Medical and Health Sciences, The University of Auckland, New Zealand); C Flohr (St John's Institute of Dermatology, St Thomas’ Hospital, London, UK); S Foliaki* (Centre for Public Health Research, Massey University, Wellington, New Zealand); F Forastiere (Department of Epidemiology, Local Health Authority Rome, Italy); L García-Marcos (Respiratory Medicine and Allergy Units, ‘Virgen de la Arrixaca’ University Children's Hospital, University of Murcia, Spain); U Keil* (Institut für Epidemiologie und Sozialmedizin, Universität Münster, Germany); C K W Lai* (Department of Medicine and Therapeutics, The Chinese University of Hong Kong, SAR China); J Mallol* (Department of Paediatric Respiratory Medicine, University of Santiago de Chile, Chile); E A Mitchell (Department of Paediatrics: Child and Youth Health, Faculty of Medical and Health Sciences, The University of Auckland, New Zealand); S Montefort* (Department of Medicine, University of Malta, Malta), J Odhiambo* (Centre Respiratory Diseases Research Unit, Kenya Medical Research Institute, Nairobi, Kenya, deceased); N Pearce (Department of Medical Statistics, Faculty of Epidemiology and Public Health, London School of Hygiene and Tropical Medicine, London, UK); C F Robertson (Murdoch Children's Research Institute, Melbourne, Australia); A W Stewart (Population Health, Faculty of Medical and Health Sciences, The University of Auckland, New Zealand); D Strachan (Division of Community Health Sciences, St George's, University of London, London, UK); E von Mutius (Dr von Haunerschen Kinderklinik de Universität München, Germany); S K Weiland (Department of Epidemiology, University of Ulm, Germany (deceased)); G Weinmayr (Institute of Epidemiology, University of Ulm, Germany); H Williams (Centre for Evidence Based Dermatology, Queen's Medical Centre, University Hospital, Nottingham, UK); G Wong (Department of Paediatrics, Prince of Wales Hospital, Hong Kong, SAR China). *Regional Coordinators. ISAAC International Data Centre: M I Asher, T O Clayton, E Ellwood, P Ellwood, E A Mitchell (Department of Paediatrics: Child and Youth Health); A W Stewart (School of Population Health, Faculty of Medical and Health Sciences, The University of Auckland, New Zealand). ISAAC Principal Investigators: Argentina: C E Baena-Cagnani* (Córdoba), M Gómez (Salta); Barbados: M E Howitt* (Barbados); Belgium: J Weyler (Antwerp); Bolivia: R Pinto-Vargas* (Santa Cruz); Brazil: A J L A Cunha (Nova Iguaçu), L de Freitas Souza (Feira de Santana, Salvador, Vitória da Conquista); Cameroon: C Kuaban* (Yaounde); Canada: A Ferguson (Vancouver), D Rennie (Saskatoon); Chile: P Aguilar (South Santiago), L Amarales (Punta Arenas), L A V Benavides (Calama), A Contreras (Chiloe); China: Y-Z Chen* (Beijing, Tong Zhou), O Kunii (Tibet), Q Li Pan (Wulumuqi), N-S Zhong (Guangzhou); Colombia: G Aristizábal (Bogotá), A M Cepeda (Barranquilla), G A Ordoñez (Cali); Côte d'Ivoire: B N Koffi* (Urban Côte d'Ivoire); Ecuador: C Bustos (Guayaquil); Estonia: M-A Riikjärv* (Tallinn); Ethiopia: K Melaku (Addis Ababa); Fiji: R Sa'aga-Banuve (Suva); Finland: J Pekkanen* (Kuopio County); Former Yugoslav Republic of Macedonia: E Vlaski* (Skopje); Gabon: I E Hypolite* (Port-Gentil); Hong Kong: G Wong; Hungary: Z Novák (Szeged), G Zsigmond* (Svábhegy); India: S Awasthi (Lucknow), M Sabir (Bikaner), S K Sharma (New Delhi), V Singh (Jaipur), P S Suresh Babu (Davangere); Indonesia: C B Kartasasmita (Bandung), P Konthen (Bali), W Suprihati (Semarang); Iran: M-R Masjedi* (Rasht, Tehran); Isle of Man: A Steriu; Japan: H Odajima (Fukuoka); Kuwait: J A al-Momen; Kyrgyzstan: C Imanalieva* (Balykchi, Bishkek); Lithuania: J Kudzyte* (Kaunas); Malaysia: B S Quah (Kota Bharu), K H Teh (Alor Setar); Mexico: M Baeza-Bacab* (Mérida), M Barragán-Meijueiro (Ciudad de México), B E Del-Río-Navarro (Ciudad de México), R García-Almaráz (Ciudad Victoria), S N González-Díaz (Monterrey), F J Linares-Zapién (Toluca), J V Merida-Palacio (Mexicali Valley), N Ramírez-Chanona (Ciudad de México), S Romero-Tapia (Villahermosa), I Romieu (Cuernavaca); Morocco: Z Bouayad* (Boulmene, Casablanca, Marrakech); New Zealand: M I Asher* (Auckland), R MacKay (Nelson), C Moyes (Bay of Plenty), P Pattemore (Christchurch), N Pearce (Wellington); Nigeria: B O Onadeko (Ibadan); Panama: G Cukier* (David-Panamá); Peru: P Chiarella* (Lima); Philippines: F Cua-Lim* (Metro Manila); Poland: A Brêborowicz (Poznan), G Lis* (Kraków); Portugal: R Câmara (Funchal), J M Lopes dos Santos (Porto), C Nunes (Portimao), J Rosado Pinto* (Lisbon); Samoa: P Fuimaono (Apia); Singapore: D Y T Goh; South Africa: H J Zar* (Cape Town); South Korea: H-B Lee* (Provincial Korea, Seoul); Spain: A Blanco-Quirós (Valladolid), R M Busquets (Barcelona), I Carvajal-Urueña (Asturias), G García-Hernández (Madrid), L García-Marcos* (Cartagena), C González Díaz (Bilbao), A López-Silvarrey Varela (A Coruña), M M Morales Suárez-Varela (Valencia), E G Pérez-Yarza (San Sebastián); Sultanate of Oman: O Al-Rawas* (Al-Khod); Syrian Arab Republic: S Mohammad* (Tartous), Y Mohammad (Lattakia), K Tabbah (Aleppo); Taiwan: J-L Huang* (Taipei), C-C Kao (Taoyuan); Thailand: M Trakultivakorn (Chiang Mai), P Vichyanond* (Bangkok); Tokelau: T Iosefa*; USA: H H Windom (Sarasota); UK: M Burr (Wales, deceased), D Strachan (Surrey/Sussex); Uruguay: D Holgado* (Montevideo), M C Lapides (Paysandú); Venezuela: O Aldrey* (Caracas). *National Coordinators. ISAAC Phase Three National Coordinators not identified above: Canada: M Sears; Chile: V Aguirre; Colombia: J Mallol (interim); Hong Kong: C K W Lai; India: J Shah; Indonesia: K Baratawidjaja; Isle of Man: H R Anderson; Japan: S Nishima; Singapore: B-W Lee. Contributors All authors participated in the development, design, analysis and interpretation of this work and in the writing of the paper. Funding The authors acknowledge and thank the many funding bodies throughout the world that supported the individual ISAAC centres and collaborators and their meetings. They particularly wish to thank the New Zealand funders who supported the ISAAC International Data Centre including the Asthma and Respiratory Foundation of New Zealand, AstraZeneca New Zealand, the Auckland Medical Research Foundation, Glaxo Wellcome New Zealand, the Hawke's Bay Medical Research Foundation, the Health Research Council of New Zealand, the Child Health Research Foundation, the New Zealand Lotteries Grants Board and the Waikato Medical Research Foundation. Also, international funding was received from the BUPA Foundation (grant number 36431) and from Glaxo Wellcome International Medical Affairs who supported the regional coordinating centres. Ethics approval Each centre involved obtained ethical approval from their local ethics committee.